Infinita Records is an independent contemporary world music label started in 2008 by the award-winning, Billboard Top 10 ranked recording artist Lawson Rollins. Infinita Records presents global fusion music at its best, bringing together world-class recording artists from around the globe in a genre-defying confluence of Latin, Indian, Persian, Arabic, South American and European musical traditions. As the Portuguese word 'infinita' suggests, the music of Infinita Records embraces a spirit of infinite creative possibility and wide-reaching artistic vision. Infinita Records strives to produce select recordings of the highest quality with meticulous attention paid to exceptional musicianship, composition, and production augmented by premium engineering and recording technology. Ranked as one of the “50 Transcendent Acoustic Guitarists” of all time by Guitar Player Magazine. "The sound is impeccable, the compositions dynamic, and the technique dazzling." 25 tracks of atmospheric instrumental music designed to engender cinematic imaginings in the mind's eye of the Listener. Lawson Rollins crafts a mysterious soundscape of lush acoustic and electric guitars, synthesizers, violins, and flute that transcends conventional song structure in favor of free-form musical impressionism ripe with emotional intensity. 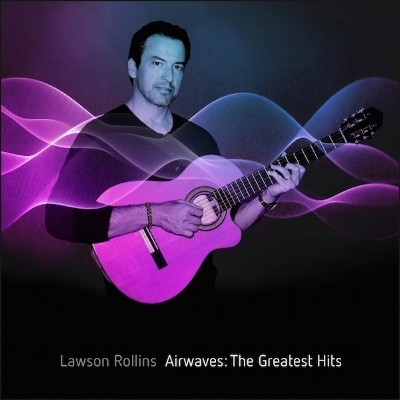 An 18 track collection of Lawson Rollins' Billboard Top 30 radio favorites from over the past decade, plus 2 new tracks featuring Grammy winner Mads Tolling and Billboard #1 charting band 3rd Force. Airwaves: The Greatest Hits includes the Billboard Top 30 contemporary jazz radio charting songs "Island Time," "Moonlight Samba," "Infinita," "Flight," and "Daybreak." Many of the tracks are "radio edits" that are markedly different from the album versions and feature performances not heard on the albums and never before made available until now. Featuring the brand new song "World of Wonder (featuring 3rd Force)", a Billboard top 10 hit. 12 new original songs that capture the urgency of the moment, the exhilaration of the speed of sound, and the poignancy of the remains of the day. Featuring multi-platinum producer Dominic Camardella (Ottmar Liebert, Flora Purim, Airto, 3rd Force), Grammy winning violinist Charlie Bisharat (Shadowfax), bassist Randy Tico (Flora & Airto, Jeff Bridges, Strunz & Farah, Benise), and percussionist Dave Bryant (Ottmar Liebert). Featuring the Top 30 Billboard contemporary jazz radio chart hit "Island Time", also on the major Americas Music Top 50 chart. 10 classic world music tracks taken from Lawson Rollins' acclaimed solo albums, remixed and reimagined with a hip, modern aesthetic, incorporating elements of electronica/chill/downtempo into the world music fusion of the original songs. and an all-star cast of musicians including legendary Brazilian chanteuse Flora Purim. Mastered at the world-renowned Sterling Sound studio in NYC. Featuring the #1 RADIO HIT "Cafe Paris (chill remix)"
Bridging countries, cultures, and continents, the music features Lawson's distinctive guitar-work backed by an eclectic, all-star ensemble. The expansive arc of the album reaches from the traditions of the Old World to the pulse of the modern metropolis with a boldly diverse, genre-defying mix of melody, rhythm, and improvisation. Winner of 3 Gold Medals in the Global Music Awards and 1st Place in the USA Songwriting Competition. The album features multi-platinum producer Dominic Camardella (Ottmar Liebert, Flora Purim, 3rd Force), Grammy-winning violinist Charlie Bisharat, bassist Randy Tico (Strunz & Farah, Benise, Jeff Bridges, Jake Shimabukuro), percussionist Dave Bryant (Ottmar Liebert, Baba Olatunji) and saxophonist/flutist Richard Hardy (Dave Matthews Band). The album landed on the Billboard Top 10 World Music album chart and features the Billboard contemporary jazz radio top 25 hit "Flight." ELEVATION marks an expressive high point for composer and guitarist Lawson Rollins. The 13 original compositions feature lush instrumentation recorded on location in Iran, Nepal, and the U.S., and a roster of stellar musicians from around the world. Guest artists include guitar legend Buckethead, Persian-American producer/musician Shahin Shahida, Nepali flute master Ruben Kumar Shrestha, Iranian santur virtuoso Pejman Eckhtiari, and many more. Featuring the Billboard contemporary jazz radio top 25 hit "Daybreak." Recorded at George Lucas' legendary Skywalker Sound studio as well as Santa Barbara Sound Design. The album showcases a global cast of Grammy Award winners and music legends. Featuring the Billboard contemporary jazz radio top 25 hit "Moonlight Samba". including Flora Purim, Airto Moreira, Shahin Shahida, Charlie Bisharat, and many more. Featuring the Billboard contemporary jazz radio top 30 hit "Infinita." - "World of Wonder" from AIRWAVES: THE GREATEST HITS landed on the Billboard top 10 contemporary jazz chart. - "Island Time" from 3 MINUTES TO MIDNIGHT spent 10 weeks on the Billboard top 30 contemporary jazz chart. - "Cafe Paris (chill remix)" from INFINITE CHILL was a #1 MOST ADDED RADIO HIT in its debut week on radio. - "Berlin Bossa" from TRAVELER was a top 50 hit on the America's Music Chart. - "Momentum" - the debut single from Full Circle was a top 40 hit on the major national America's Music Chart and #1 most-added song on contemporary jazz radio in the U.S. The second single "Flight" was a Billboard Top 25 hit on jazz channels in the U.S.
- "Daybreak" - the debut single from the 2011 album ELEVATION - was a Billboard top 25 song and also landed on the major MediaBase top 50 Radio Chart. - The first radio single from ESPIRITO entitled "Moonlight Samba" set airwaves afire, entering the Billboard top 30 jazz radio chart and hitting #1 on the Billboard Recurrent Chart. - The radio singles ‘Infinita’, ‘Cafe Jobim’, and ‘In Motion’ from the 2008 album INFINITA climbed all major jazz radio industry charts across the U.S., including the Billboard top 30, Mediabase top 50, and Smoothjazz.com top 50 charts. "Lawson Rollins is a bona fide star...The key to Rollins' mass appeal is his signature artistic balance between classically influenced compositional refinement, infectious exotic rhythms, and the unbridled intensity of full-on shred.."
Full interview and review here. 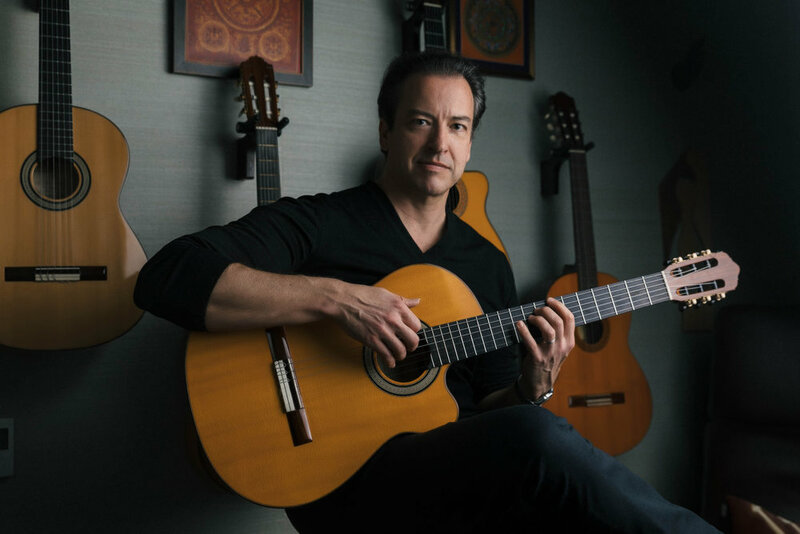 "It's not often that a Latin jazz/flamenco/samba guitarist generates millions of views on YouTube with short instrumental pieces, but Lawson Rollins is used to defying expectations." "The sound is impeccable, the compositions dynamic, and the technique dazzling.."
"Even 'world music' seems an inadequate blanket to wrap around what Rollins has created here. But whatever it is, he is a master of it." "Provocative and seductive...[a] masterful genre-busting collection." "One of the great instrumental guitar albums of 2011...a masterpiece of high guitar art." "Easily one of the year's best." "This is right in the center of the winner's circle of adult listening albums to come out this year... it doesn't get any better than this."